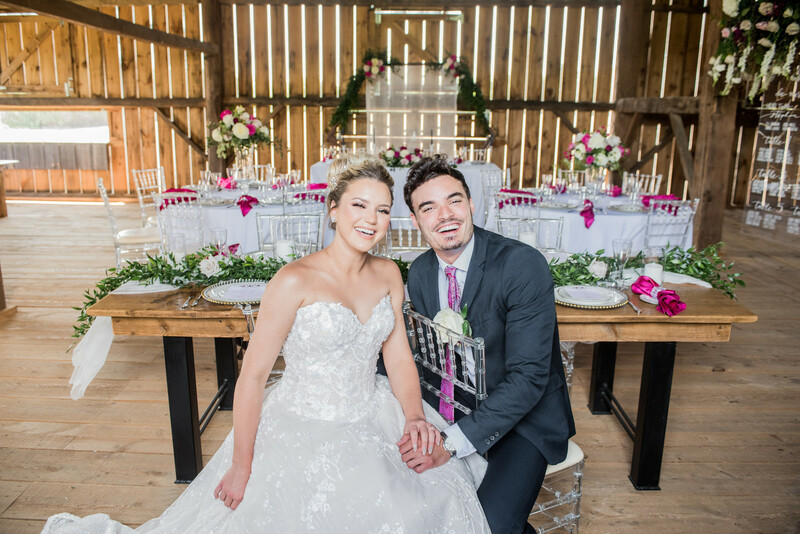 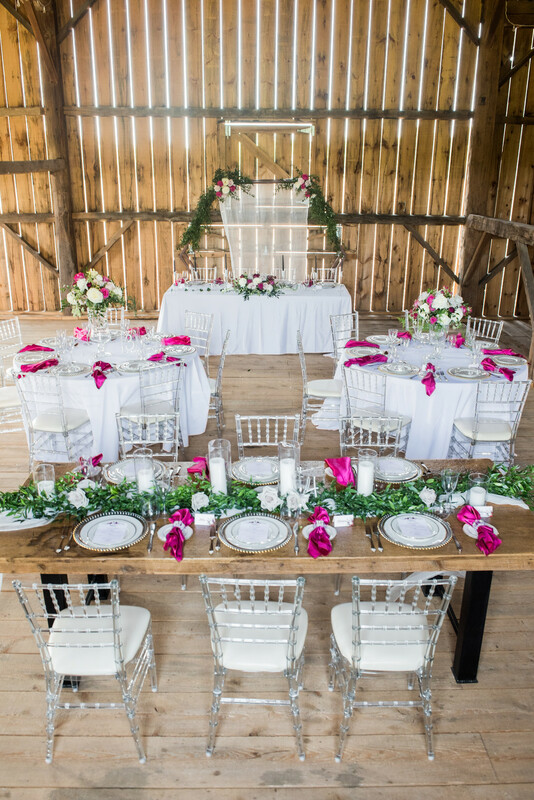 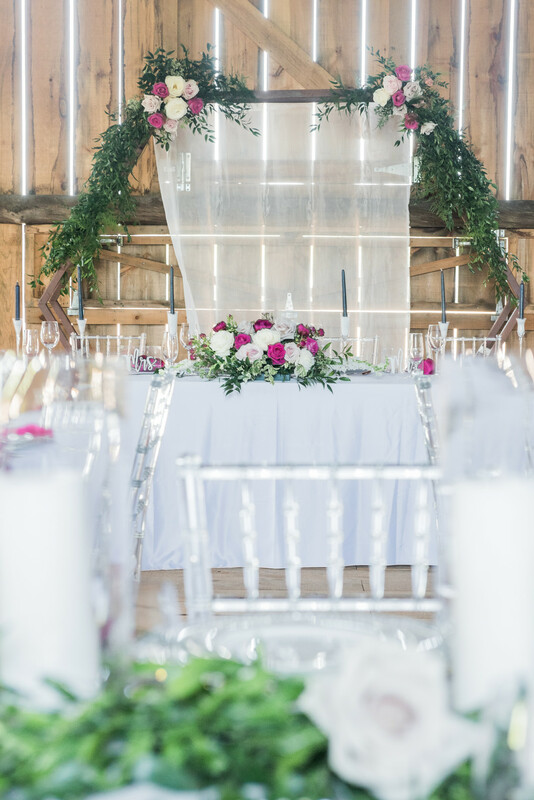 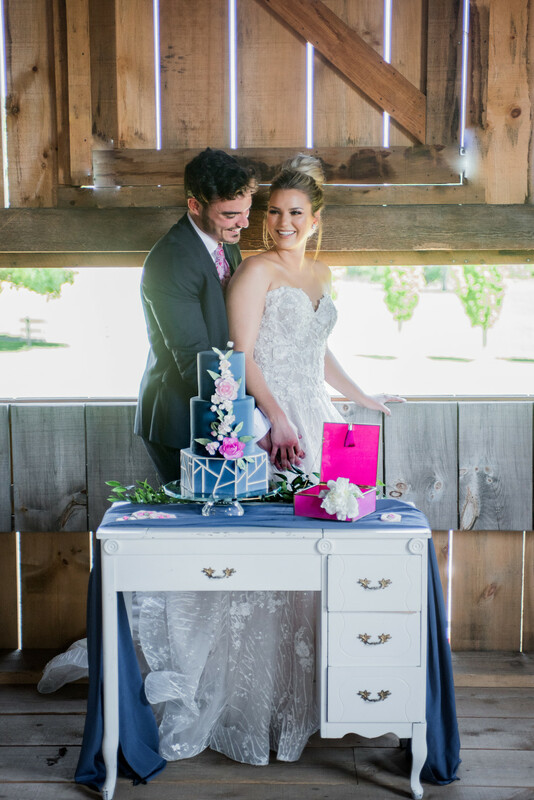 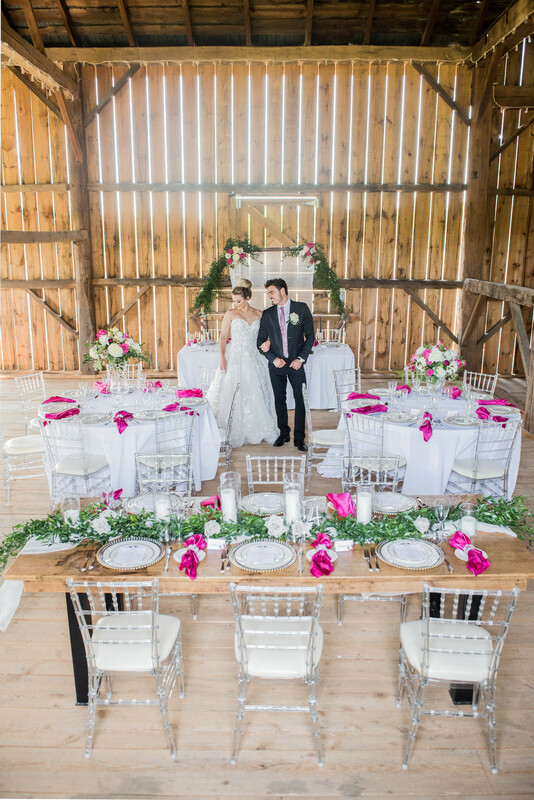 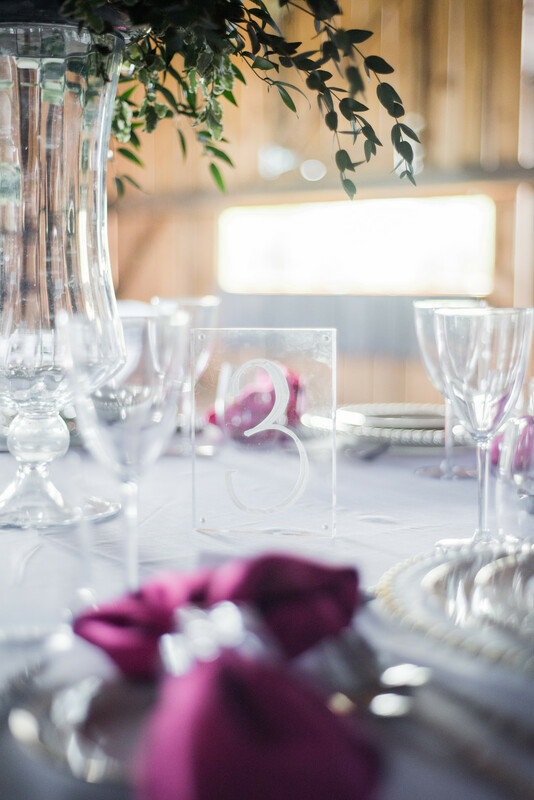 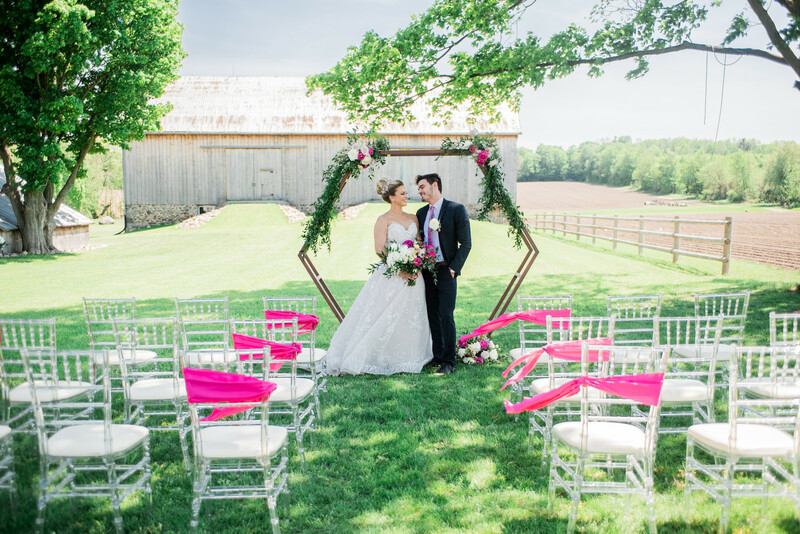 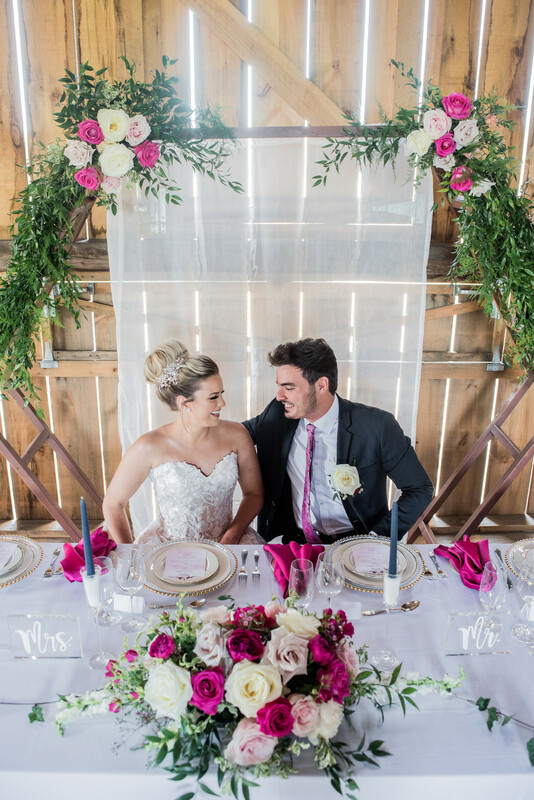 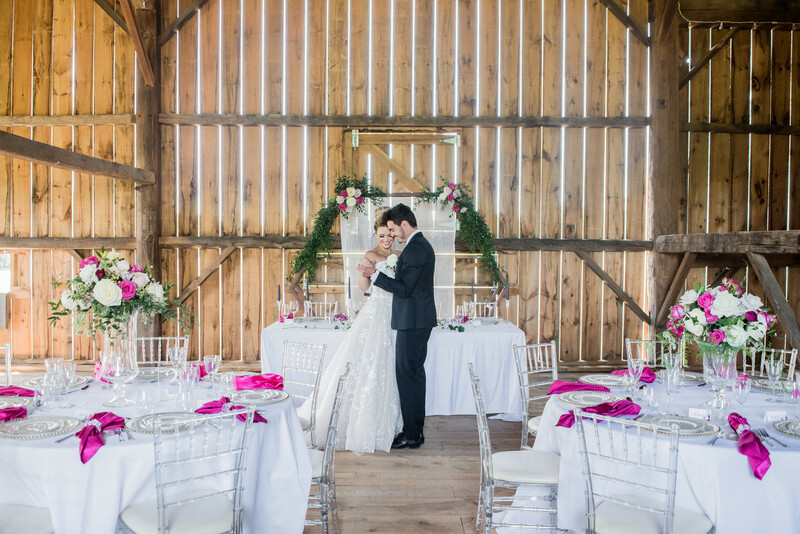 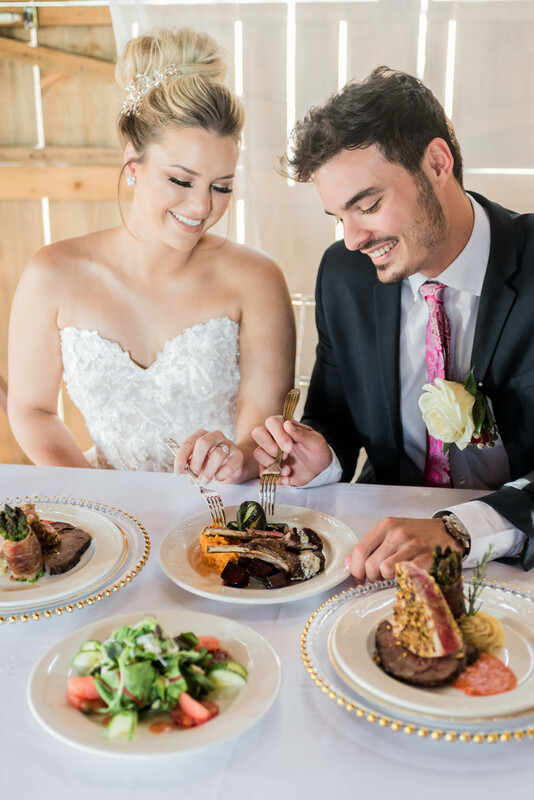 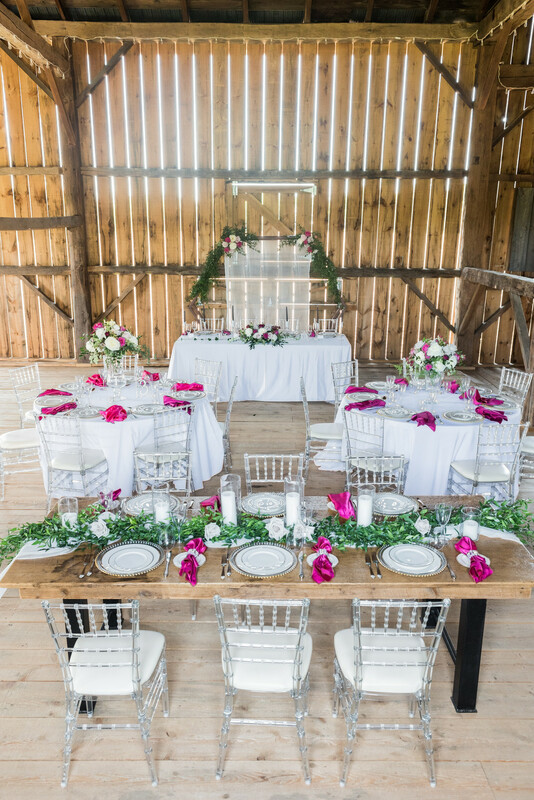 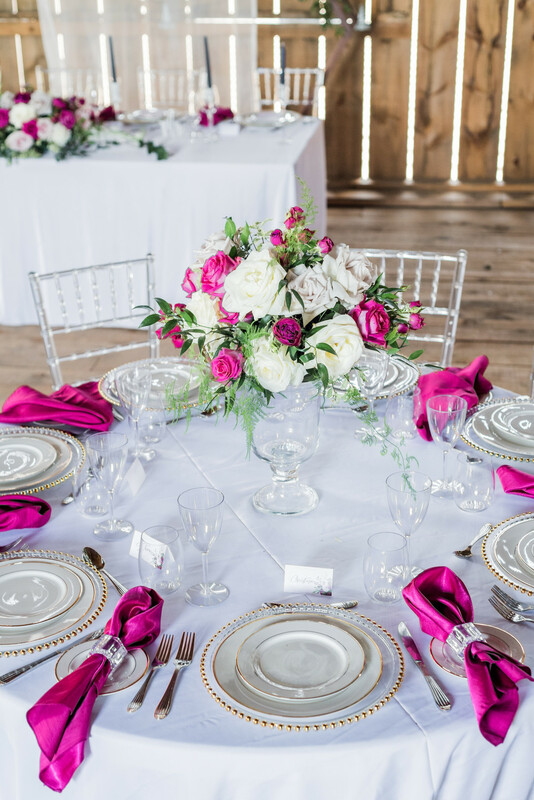 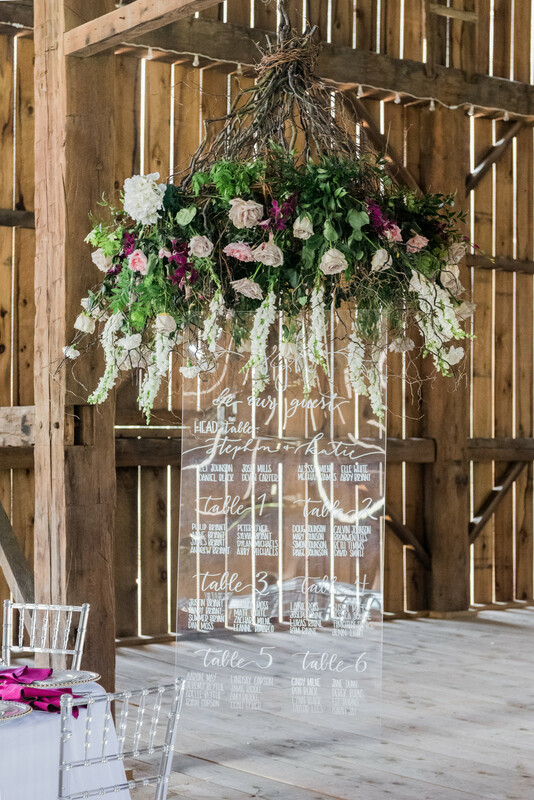 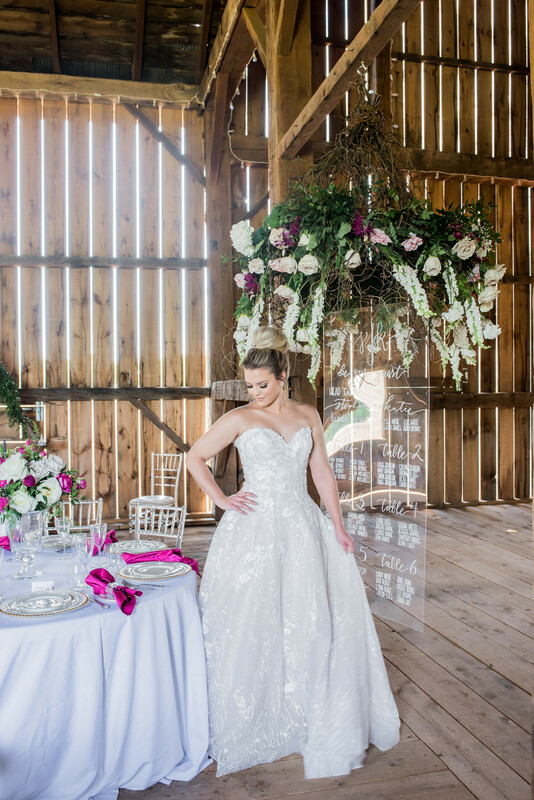 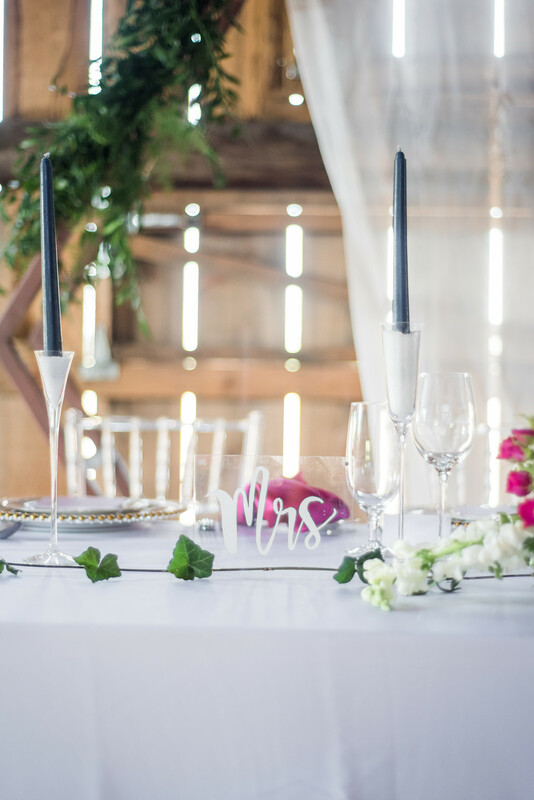 Nestled away in the beautiful country, the Barn in Bradford was the perfect location for a wedding styled shoot coordinated by Canadian event planner Michaela Elizabeth Creative. 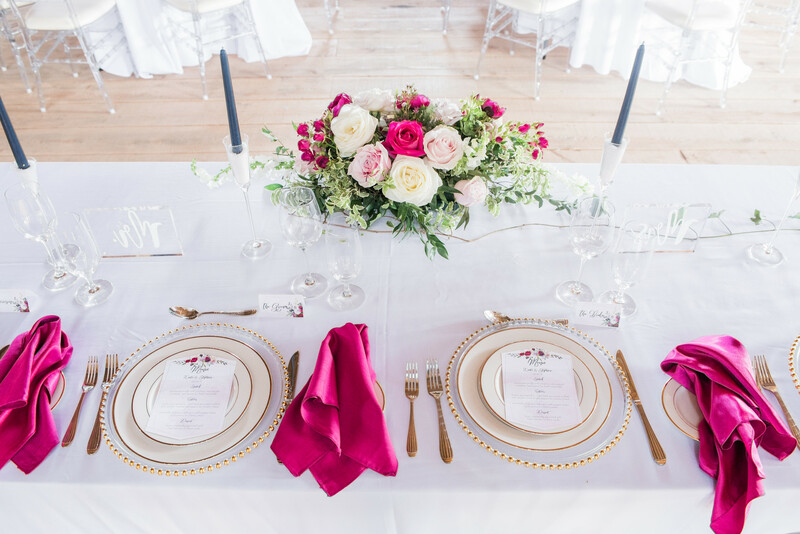 The natural lighting of the venue bounced beautifully off of the bold magenta and navy decor. 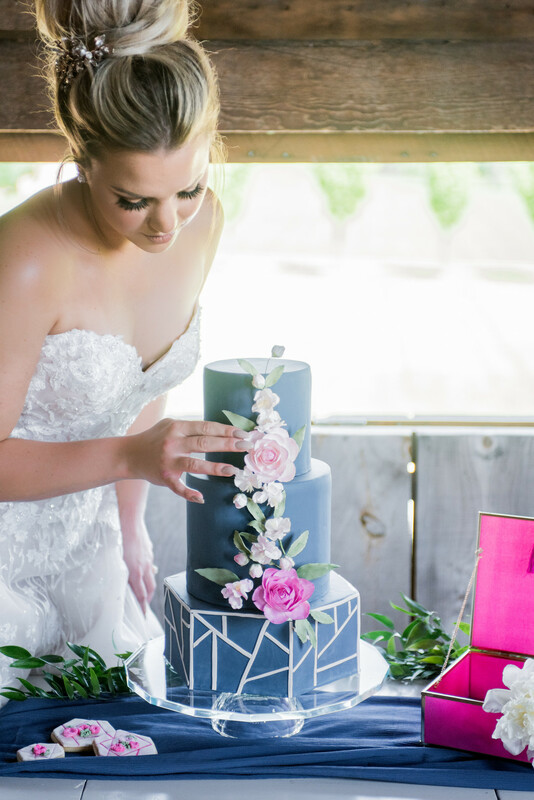 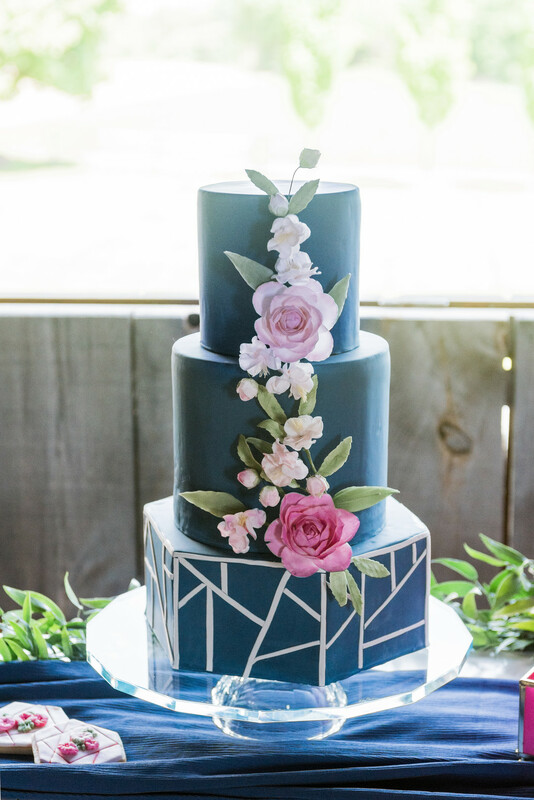 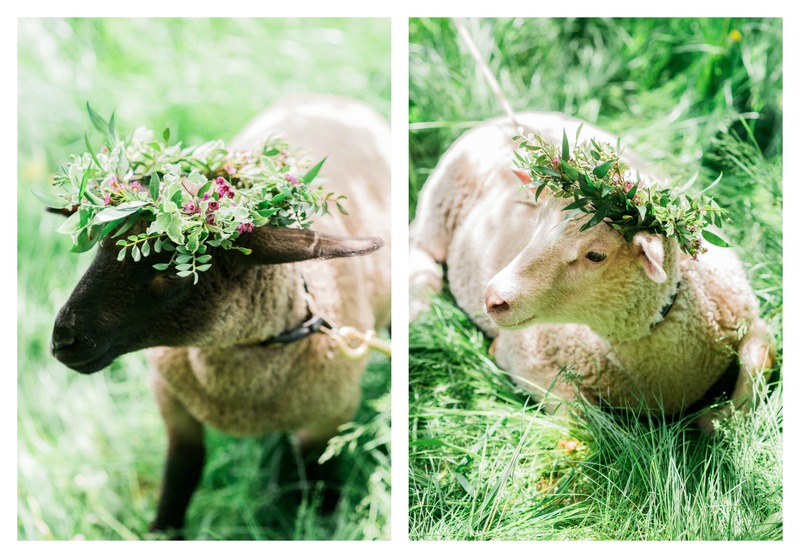 This shoot features a showstopping floral chandelier as a topper for the plexi-glass seating chart, a delectable sweets table, an art deco navy cake, and two of the cutest baby lambs in floral crowns. 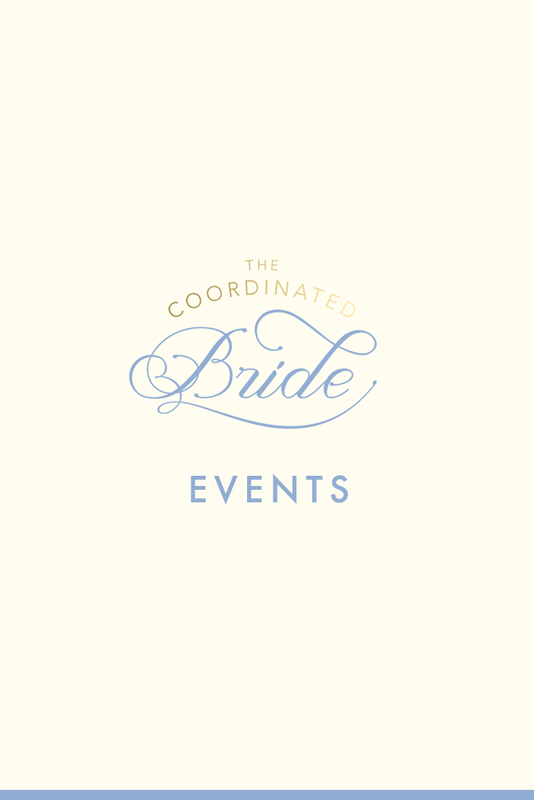 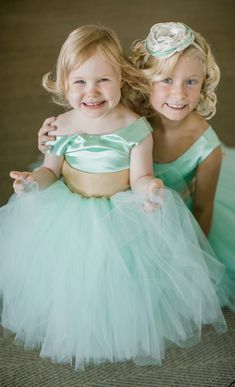 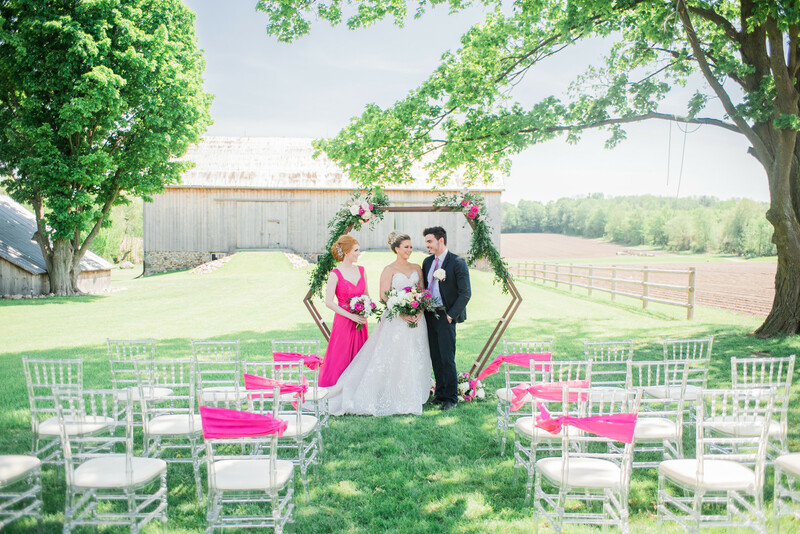 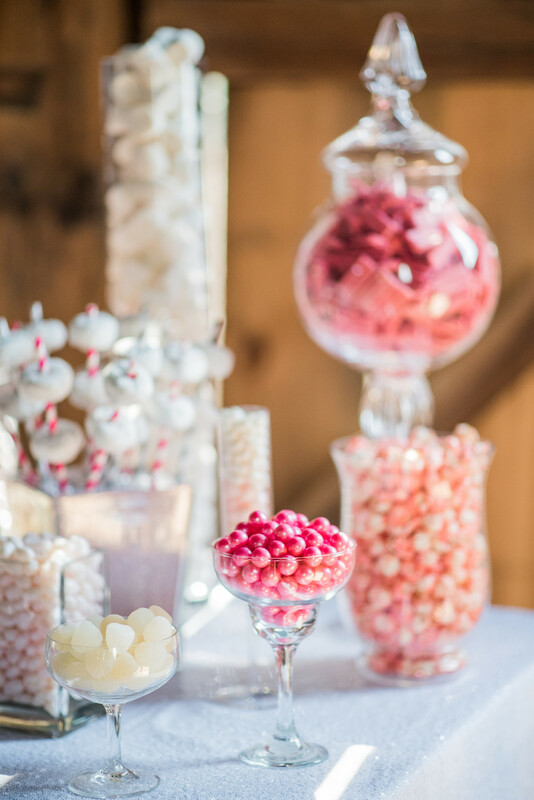 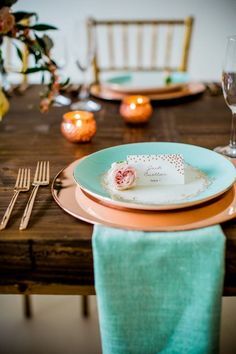 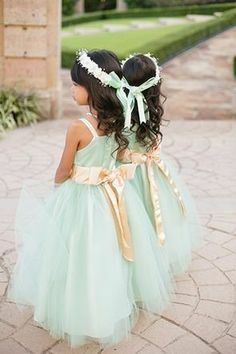 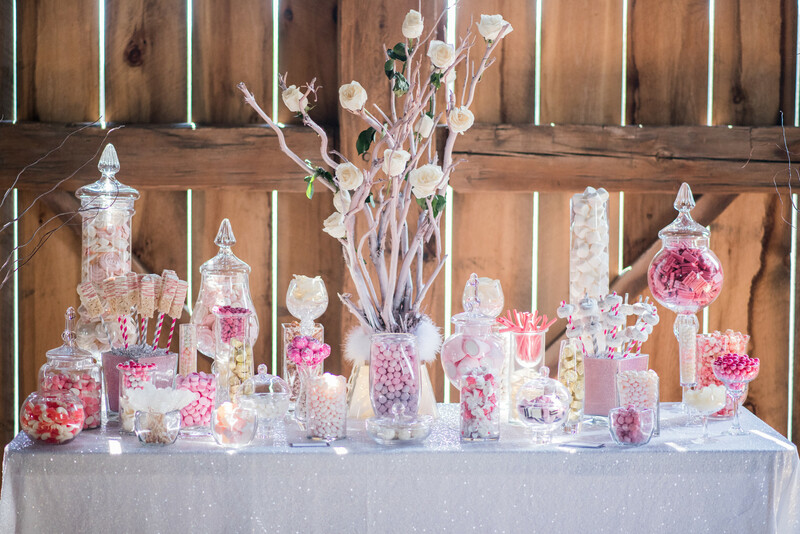 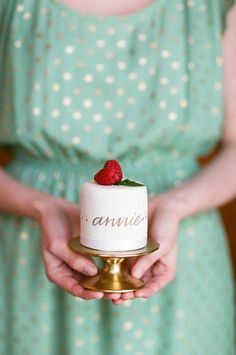 “As wedding vendors, we see a lot of blush and gold weddings. 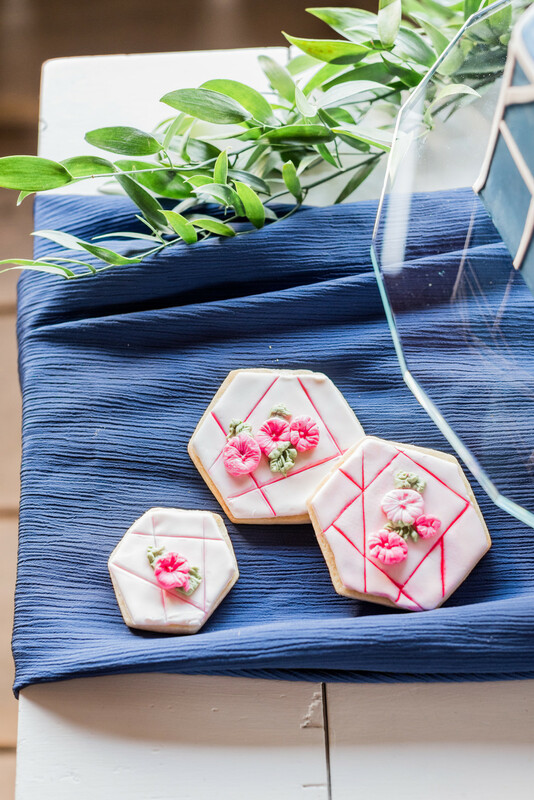 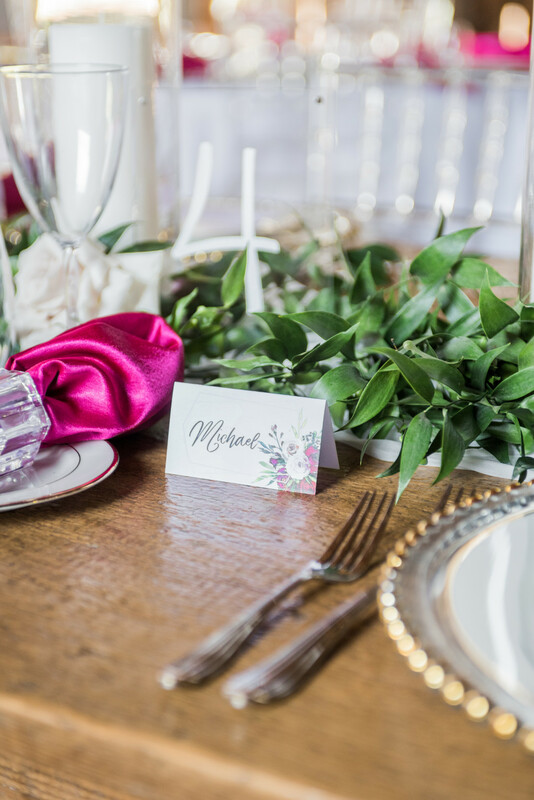 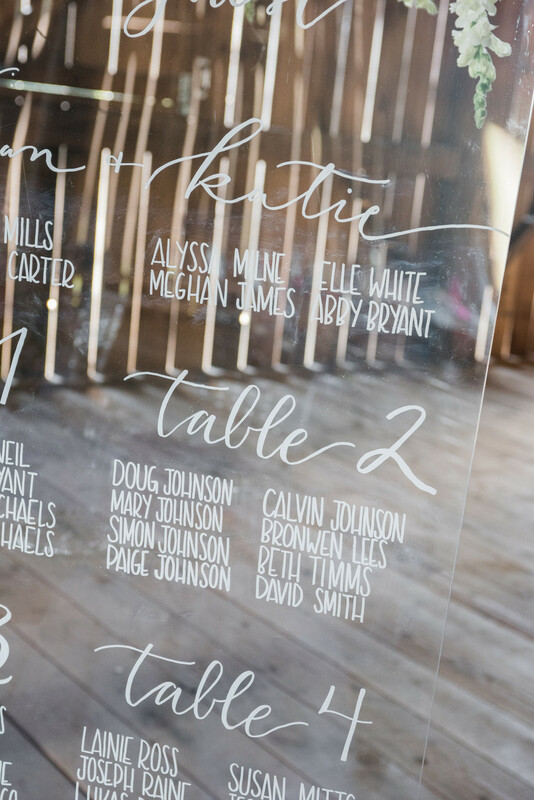 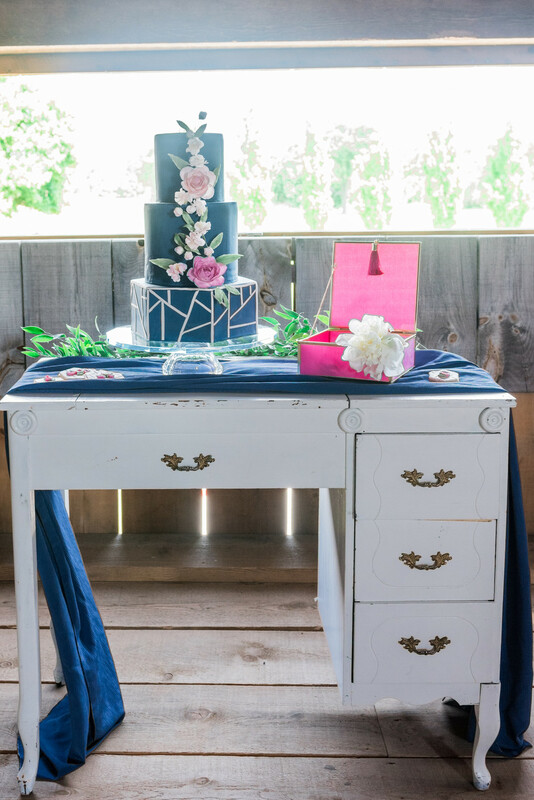 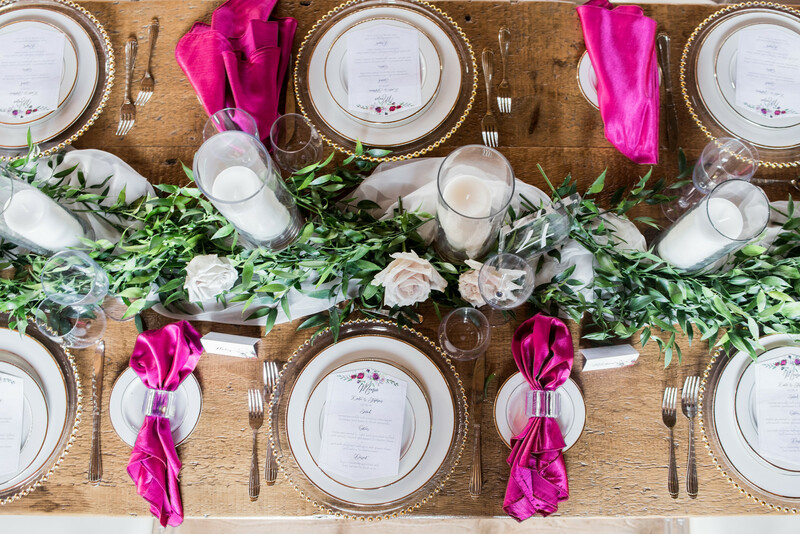 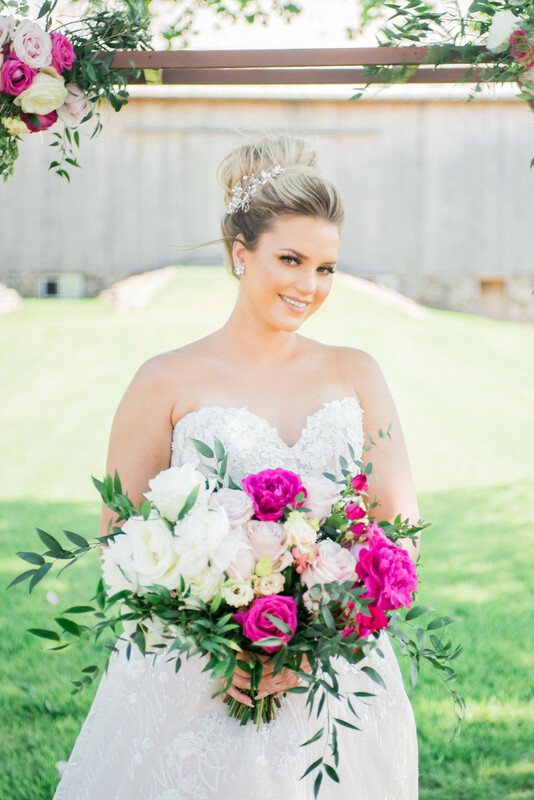 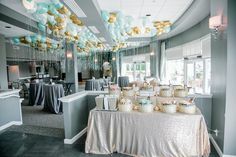 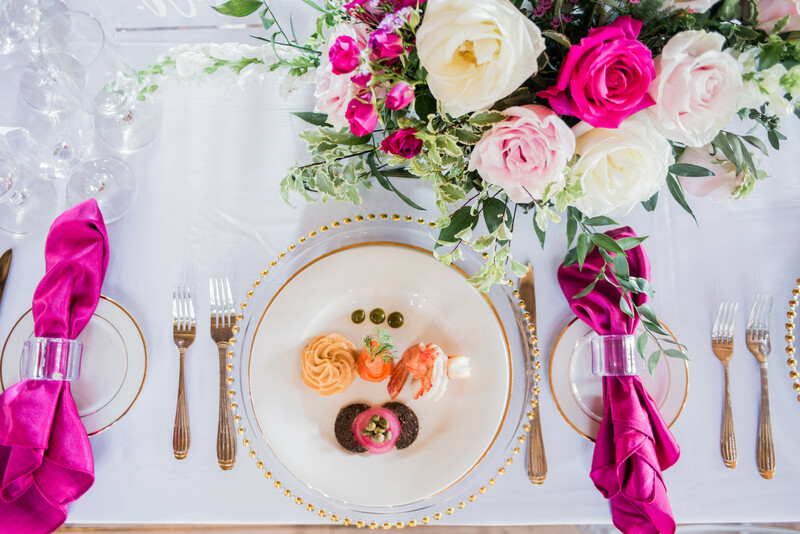 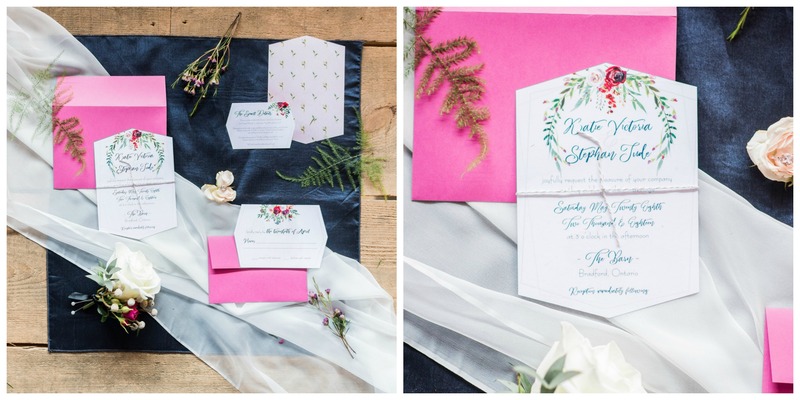 While they are timeless and classy, we wanted inspire brides and clients to not back away from the bold colors!”, says Michaela on behalf of the vendor collaboration including Emily Christine Photography. 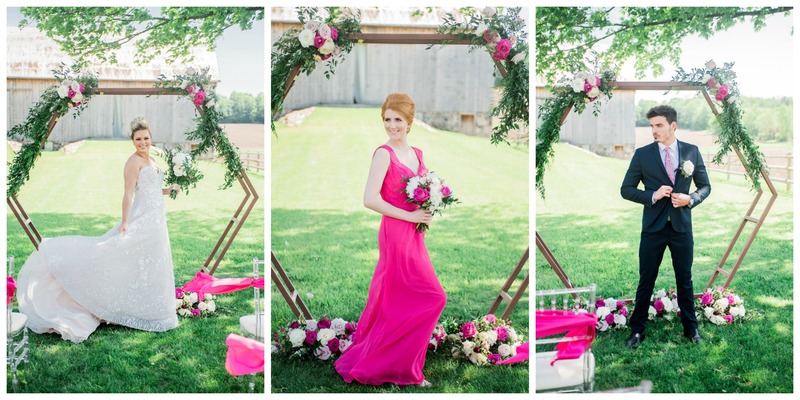 Check out the beautiful images she captured below for your bold inspiration!